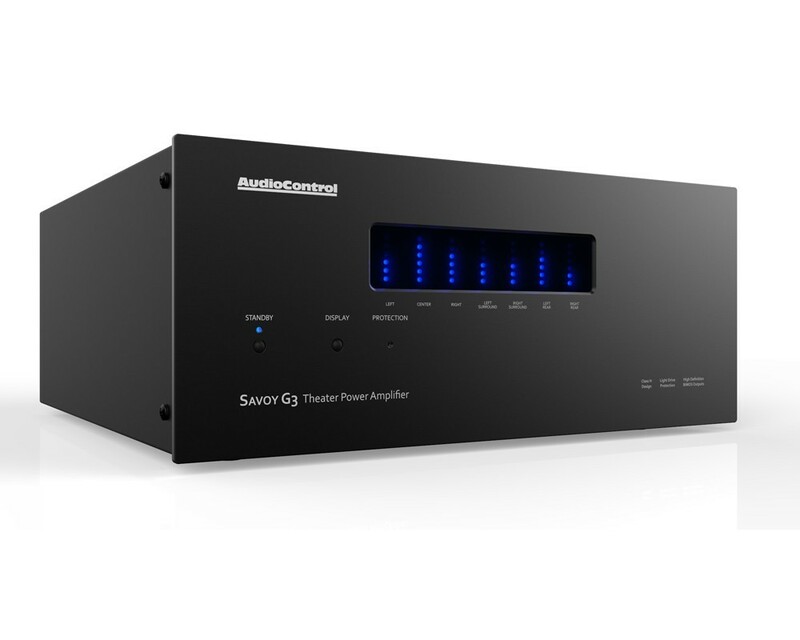 AudioControl announces the addition of their most powerful theater amplifier to date, the new seven-channel Savoy G3. Designed to stimulate enthusiasts both audibly and visually, the Savoy G3 combines AudioControl’s legendary audio performance with its leading contemporary design. The high power levels of the Savoy G3 allow it to be an active participant in even the most demanding theater systems. The Savoy G3 is a seven-channel amplifier that incorporates a unique and highly efficient AudioControl Class H design. 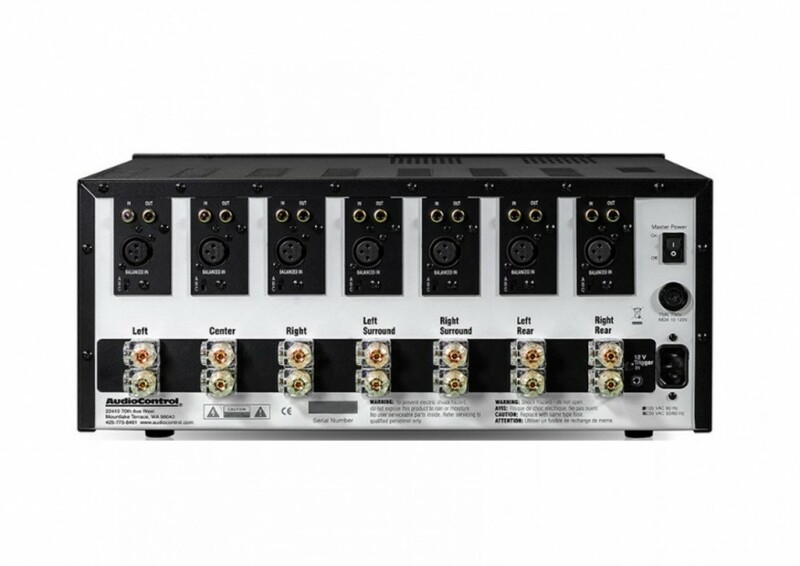 This allows it to produce over 200 watts into each channel, all channels driven, at an 8-ohm load, or almost 1500 watts total audio output. Designed as a matching companion to AudioControl’s new Maestro M9 theater pre-amp processor, the Savoy G3 changes the experience in the home for all movie lovers. The Class-H design topology of the Savoy G3 provides increased efficiency and bullet-proof reliability, while reducing heat and unnecessary power dissipation. The Savoy G3 incorporates AudioControl’s LightDrive Anti-Clipping Protection Circuit, which safely eliminates any possibility of speaker-damaging clipping and distortion, even in extreme conditions. 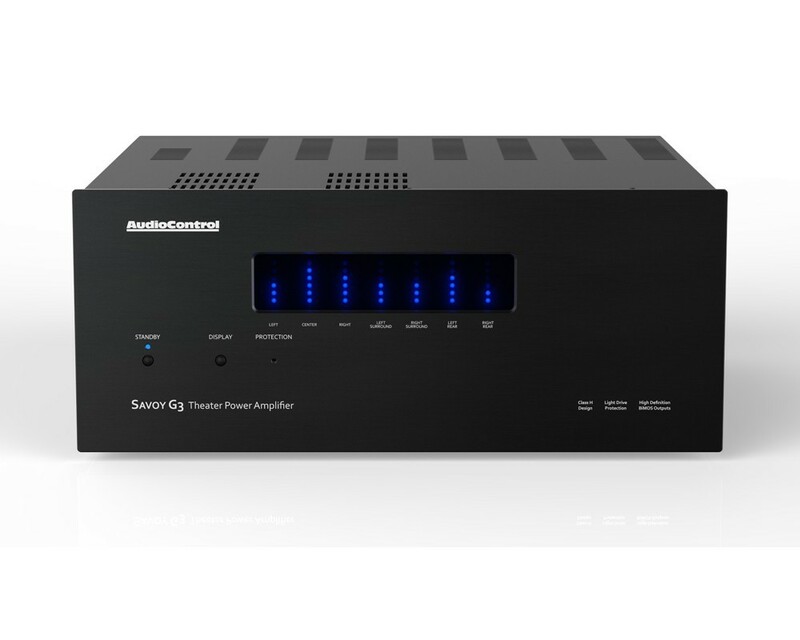 Audio enthusiasts can enjoy their audio systems at even the most aggressive levels. Paired together with AudioControl’s Maestro M9 Preamplifier the Savoy G3 is installed across many of the most ‘movie-buff’ homes around the world from leading Directors, Actors and Producers to those that just LOVE their movies whether in their theater or media space…. Test drive the AudioControl Savoy G3 and all its power today, you will not regret it! Denna produkt avser Savoy G3 i utförandet Espresso Black Brushed Aluminium. Savoy G3 går även att beställa i svart, dock med längre leveranstid då det utförandet ej lagerförs hos leverantören. Kontakta oss vid sådan specialbeställning.